Built for a syndicate of Royal Clyde Yacht Club members, Thistle raced the Edward Burgess designed Volunteer off New York in September 1887. Unfortunately, The Cup Races were not particularly successful; being marred by rating controversy and encroachment by the spectator fleet. 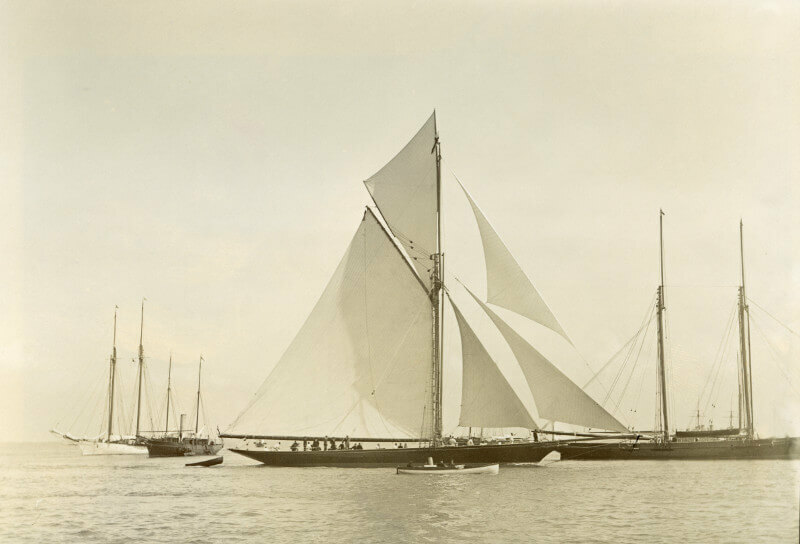 Although indelibly associated with the America’s Cup, Thistle was particularly important as an early large racing yacht built to the Length and Sail Area Rating Rule. This first successful example of what could be achieved under the rule set out the possibilities in such a positive manner that the stage was set for the most glorious era of the Big Class and the appearance of so many of the greatest racing yachts of all time; most notably Watson’s Britannia. Thistle’s promise brought G.L. Watson considerable international prestige. This was further reinforced in 1891 when she was acquired by the German Kaiser to become his first Meteor, and the founding yacht of the Imperial German Yacht Club. 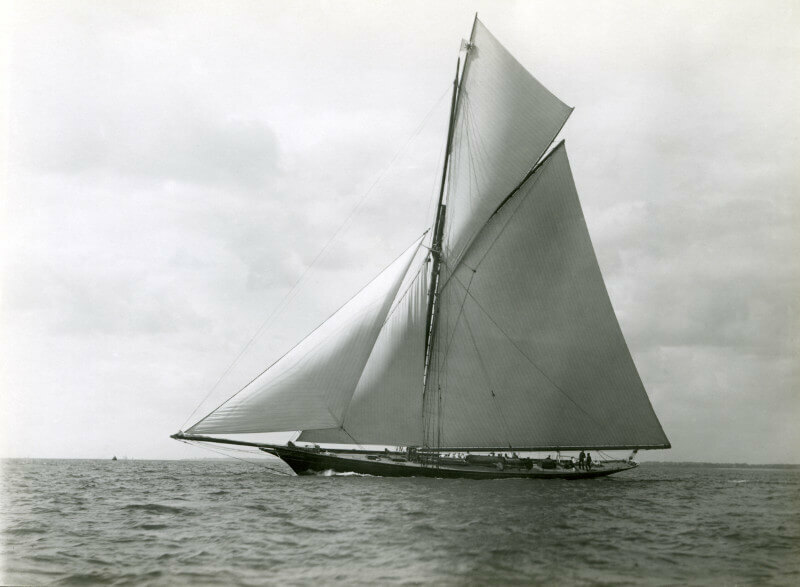 As such, this one vessel was key in establishing a new nation in the history of International yacht racing. Within the context of the America’s Cup, at a time when it was on the verge of turning from a trophy competed for by cruising yachts to one competed for solely by radical racing machines, Thistle has often been regarded as a perfect compromise. Seaworthy and fast she was also amongst the most elegant of all the clipper bow and counter stern cutters. The prospect of introducing Thistle back into competitive sailing as part of the reborn Big Class could not be more exciting. G.L.Watson & Co. holds the original drawings of Thistle which makes her re-building possible. 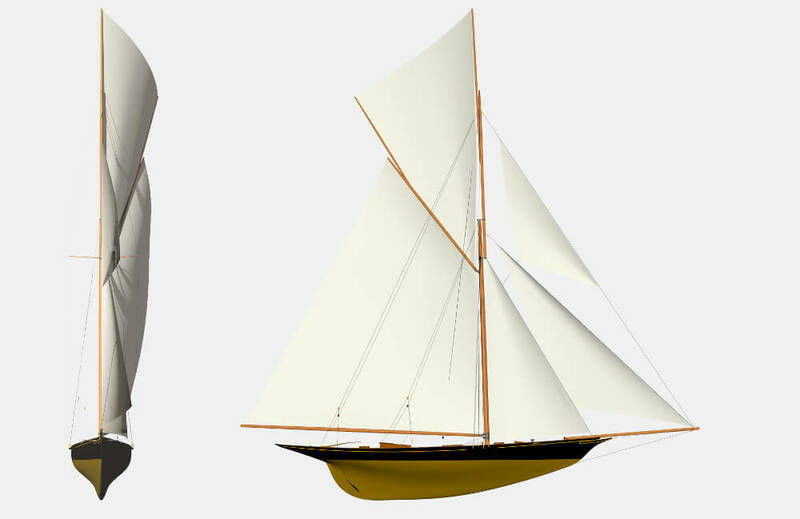 Her beauty and legend give her unique appeal whilst her size and rig make her an attractive design to join the existing classic yacht racing circuit.